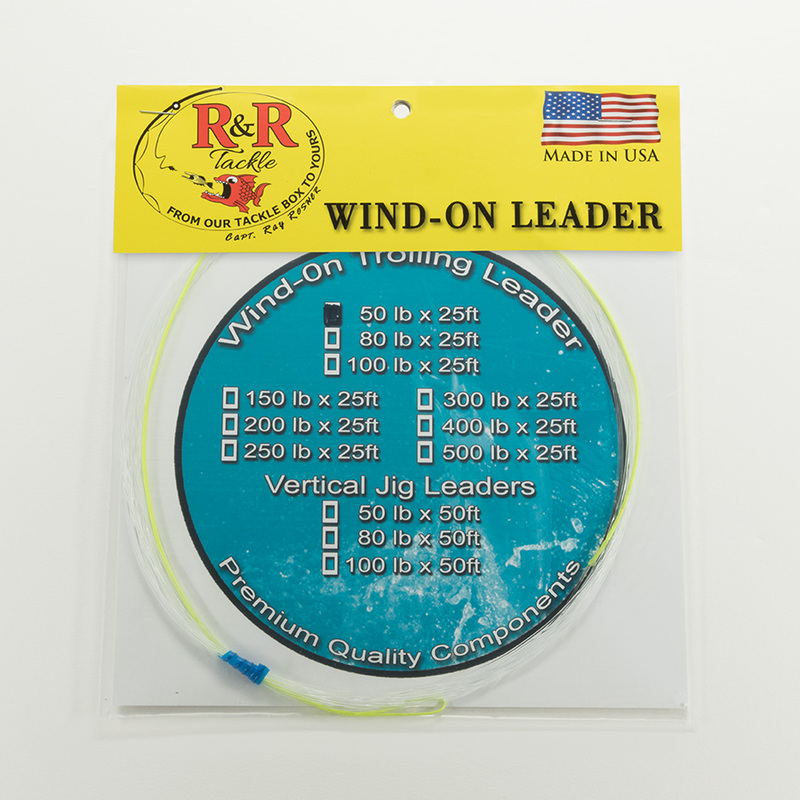 Exceptionally strong monofilament with a spliced dacron loop. 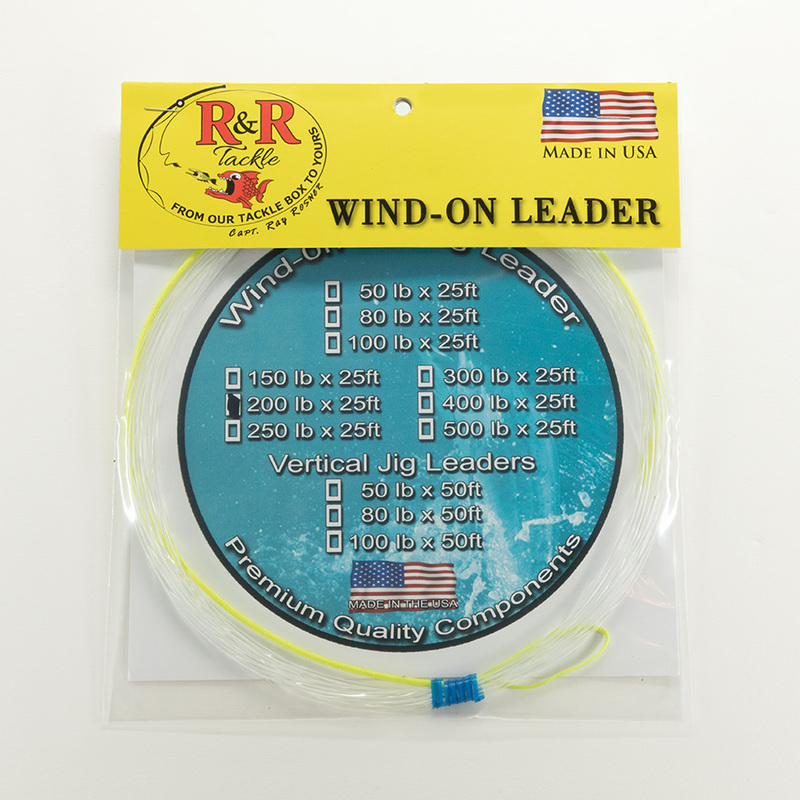 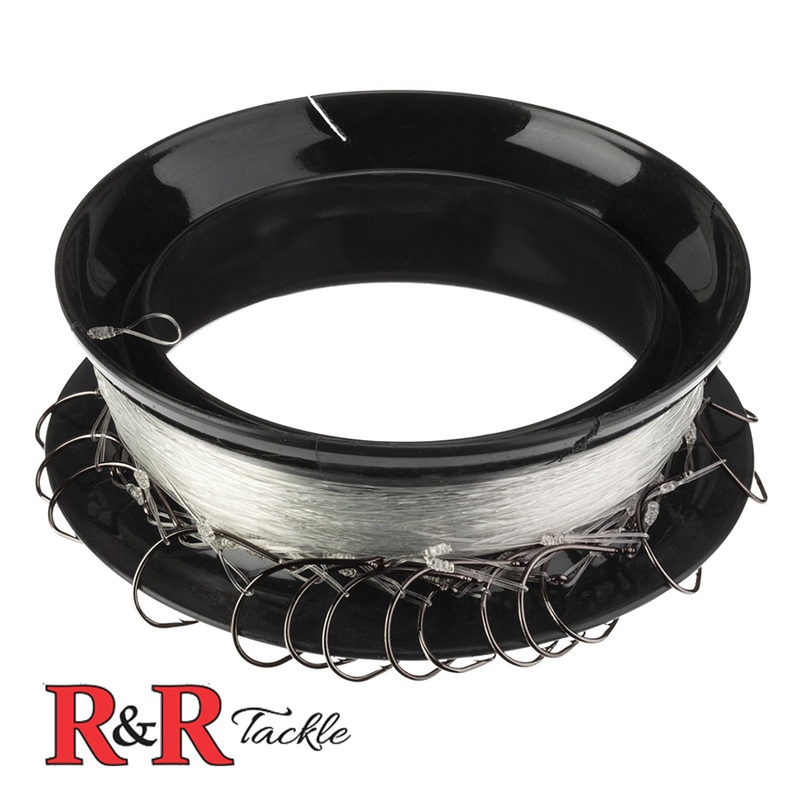 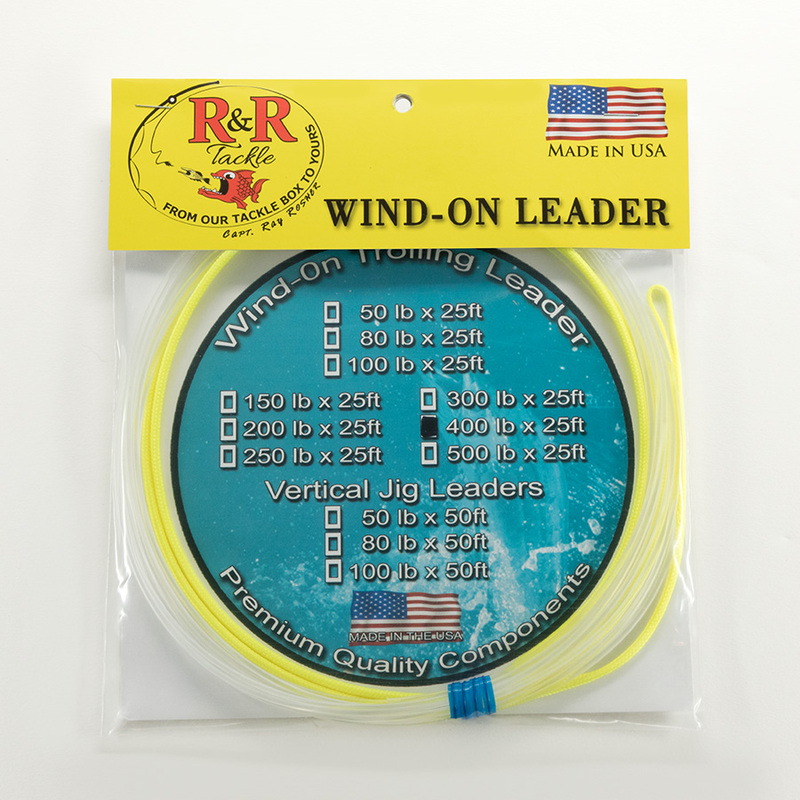 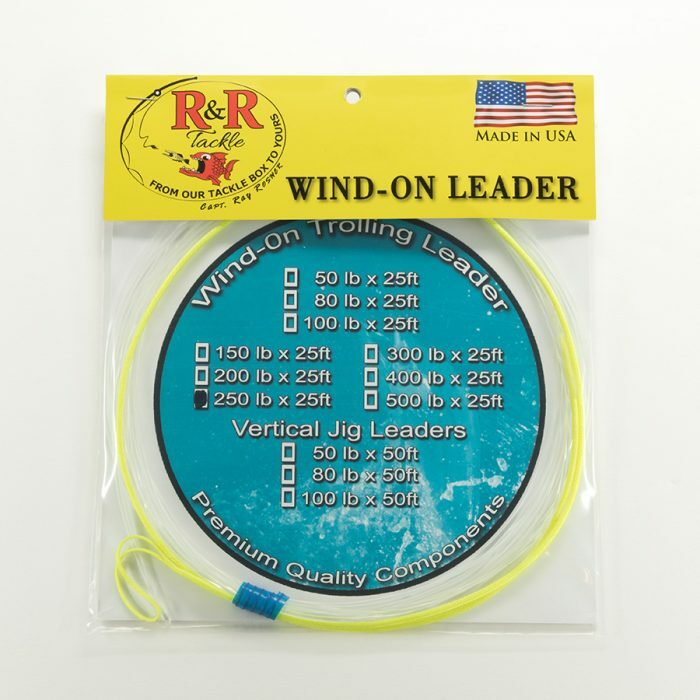 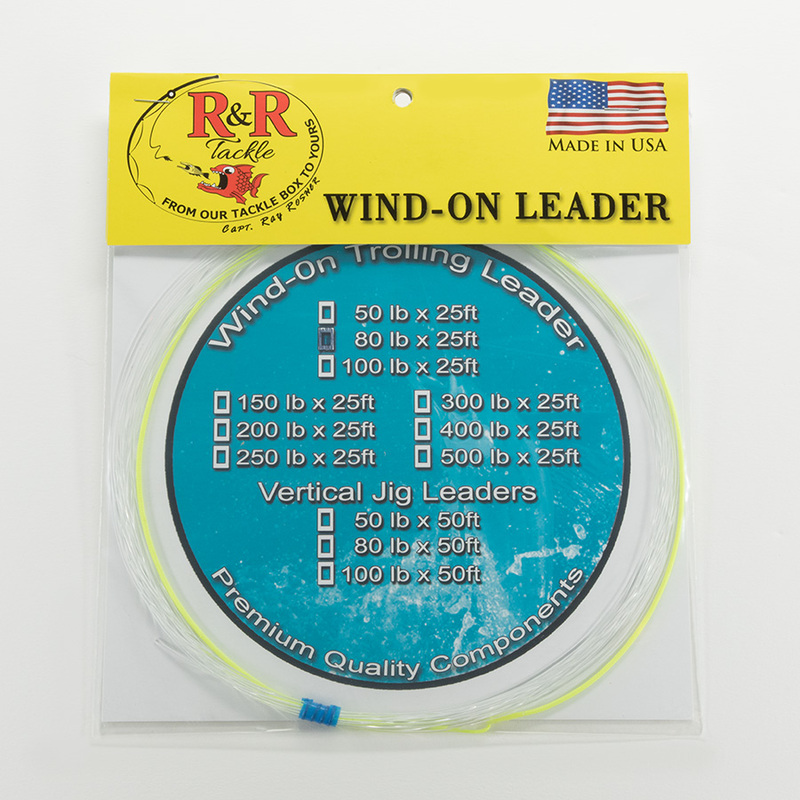 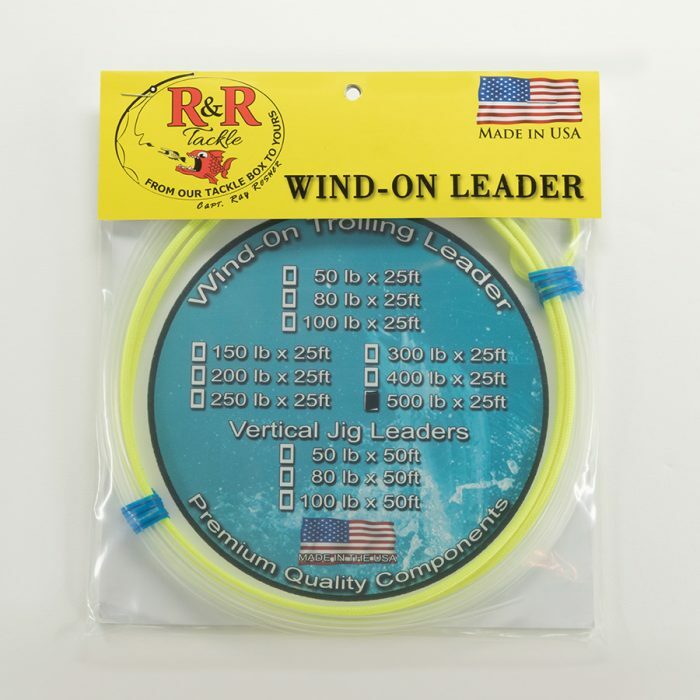 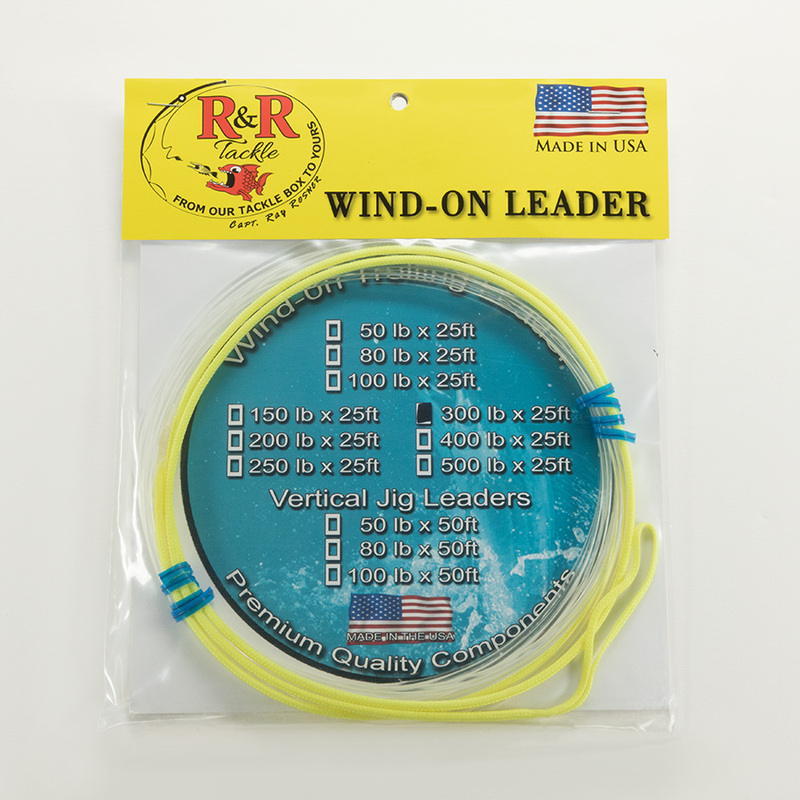 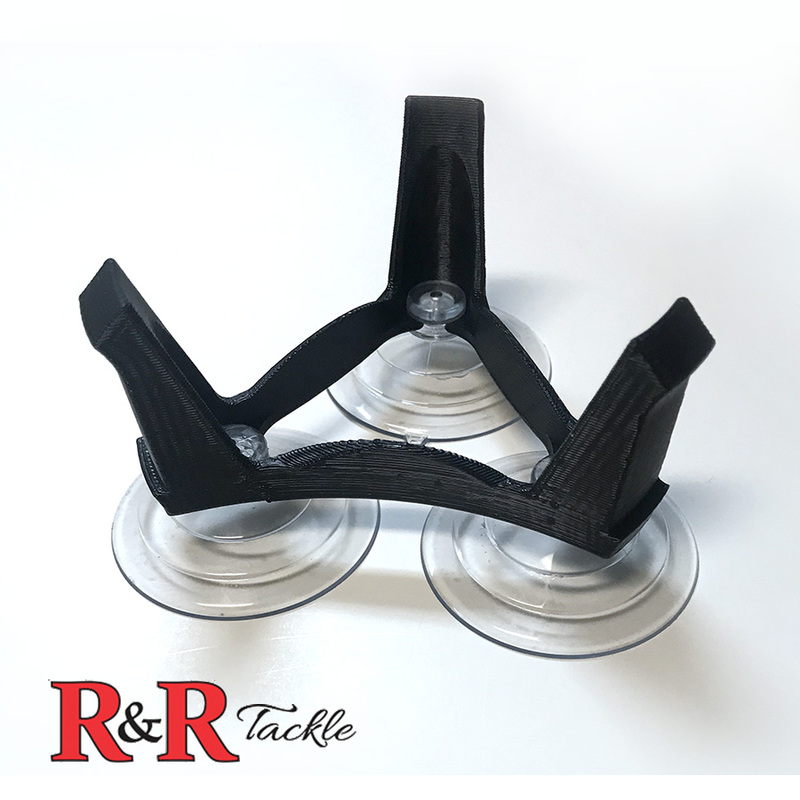 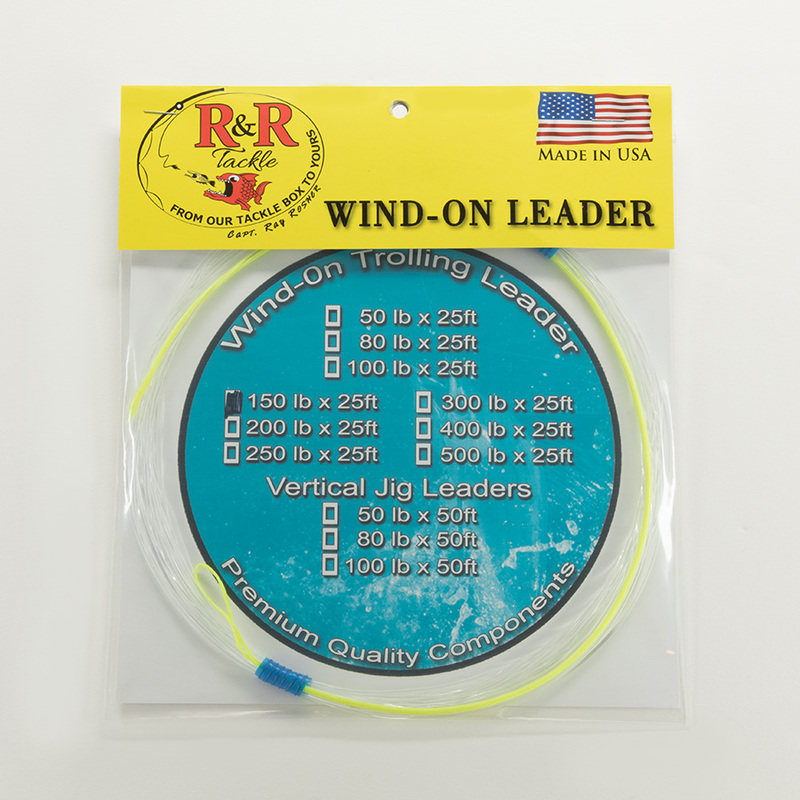 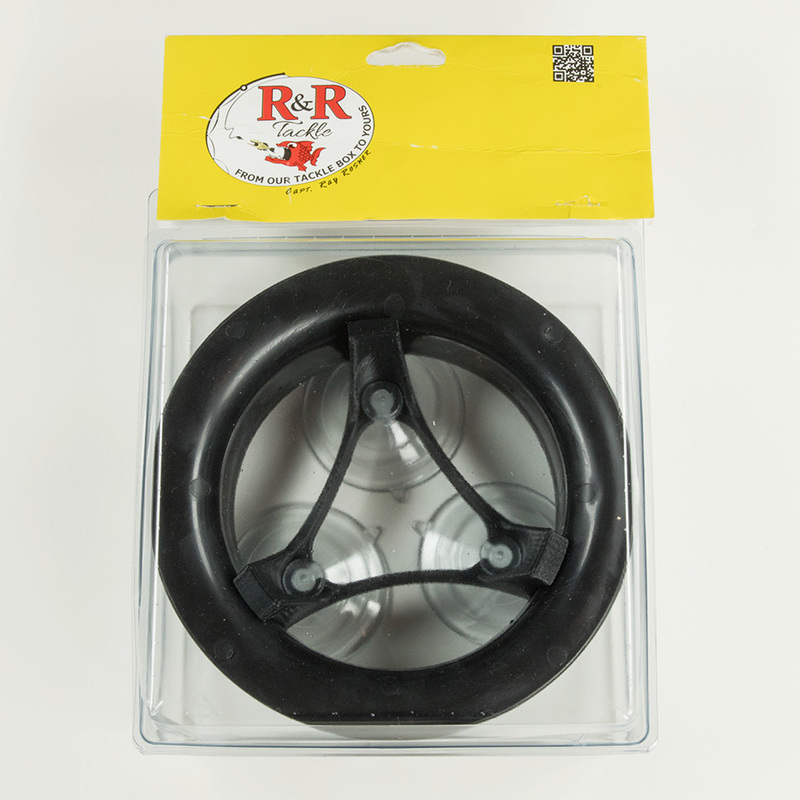 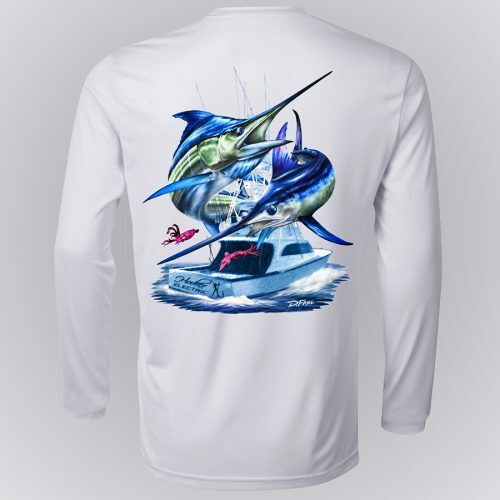 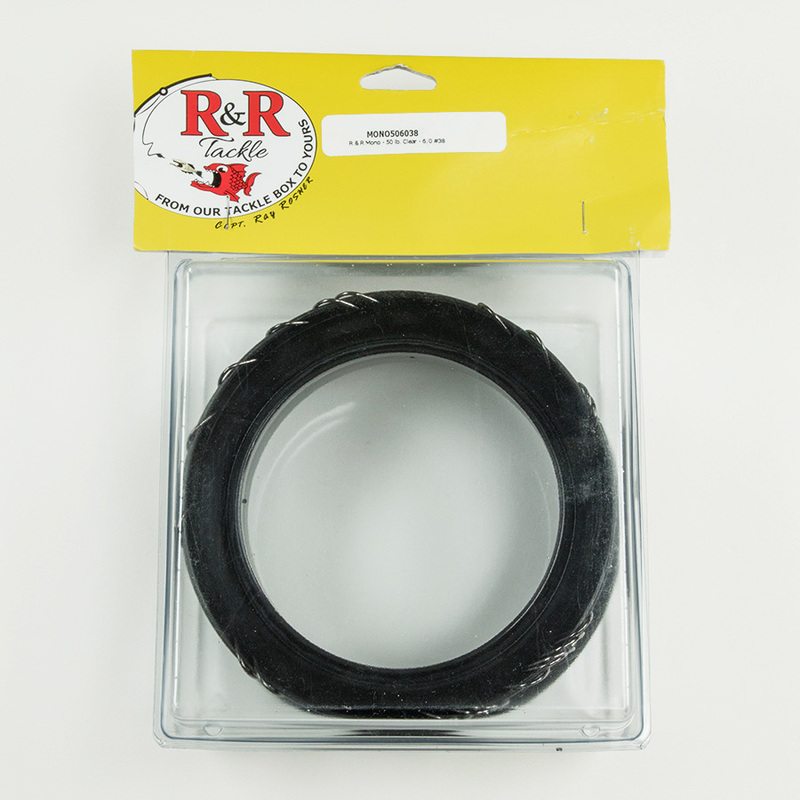 R&R Tackle Wind-On Trolling Leader is available in a complete spectrum of sizes and lengths, these are “standard issue” wind-on leaders currently in use by the Miss Britt Sportfishing Fleet. 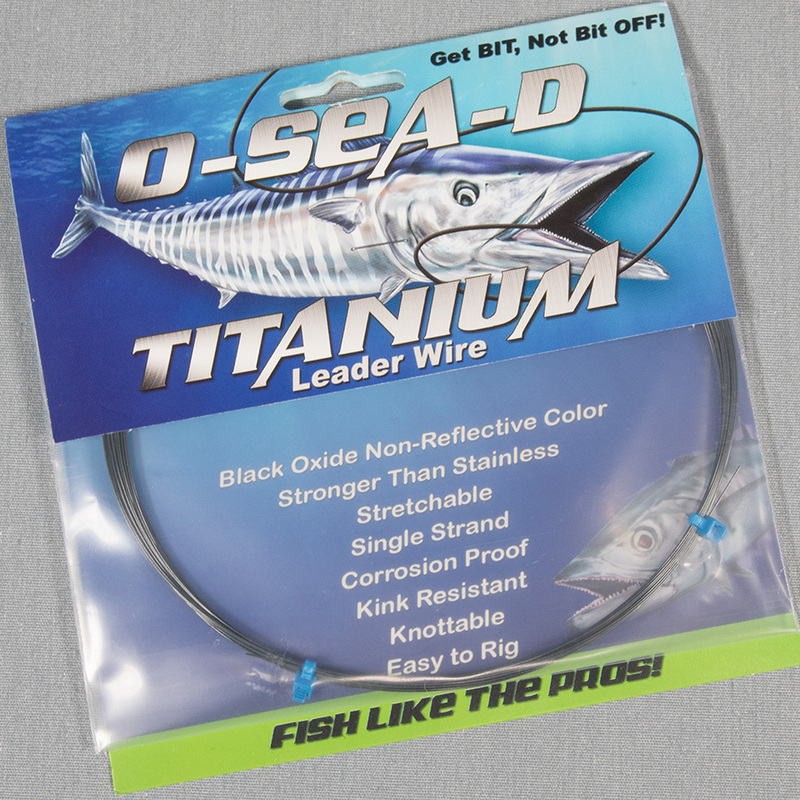 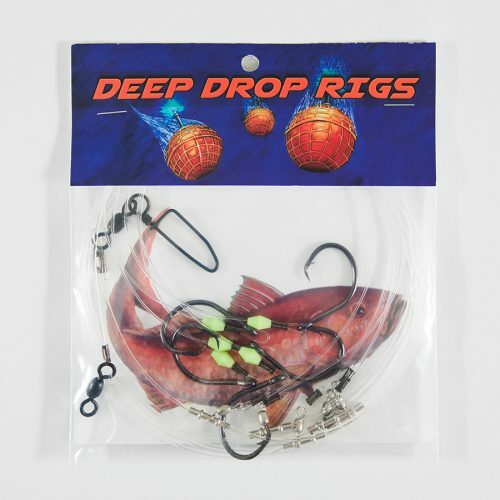 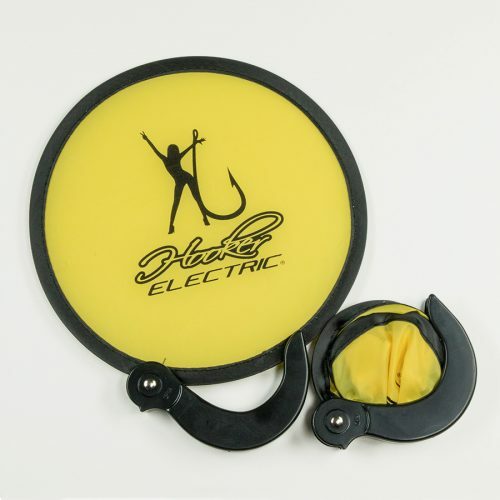 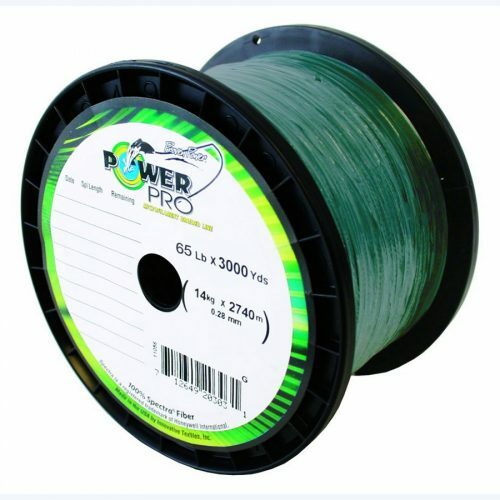 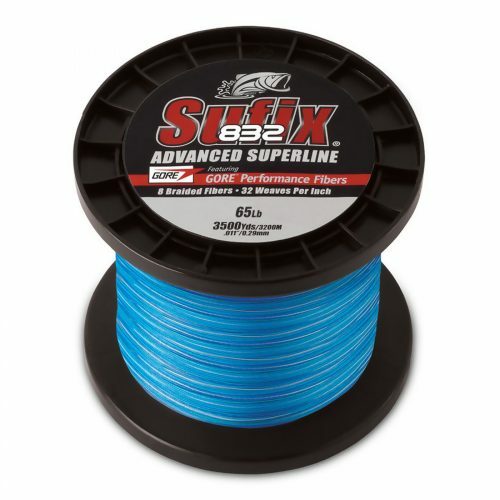 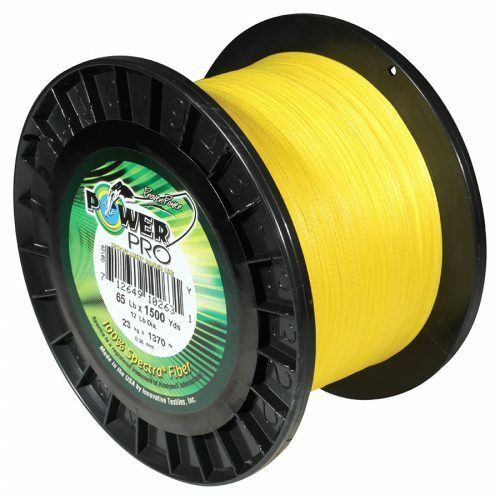 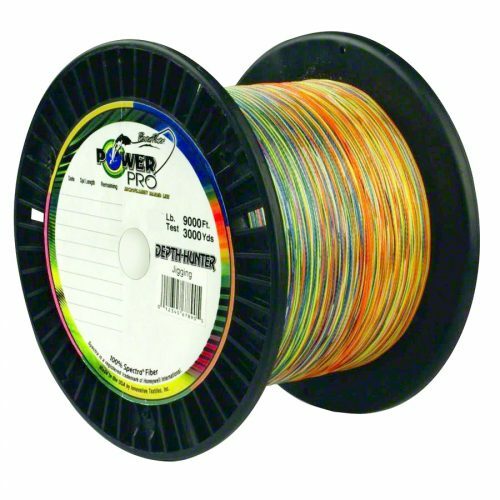 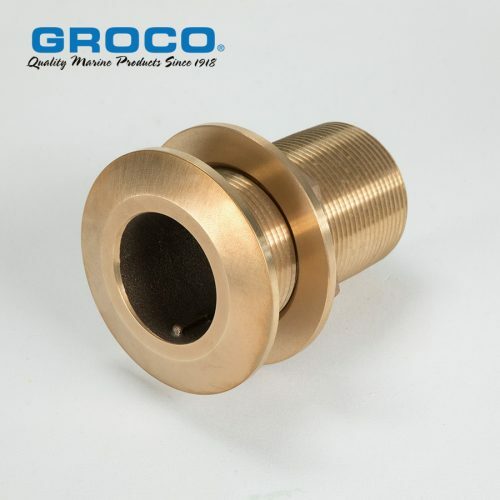 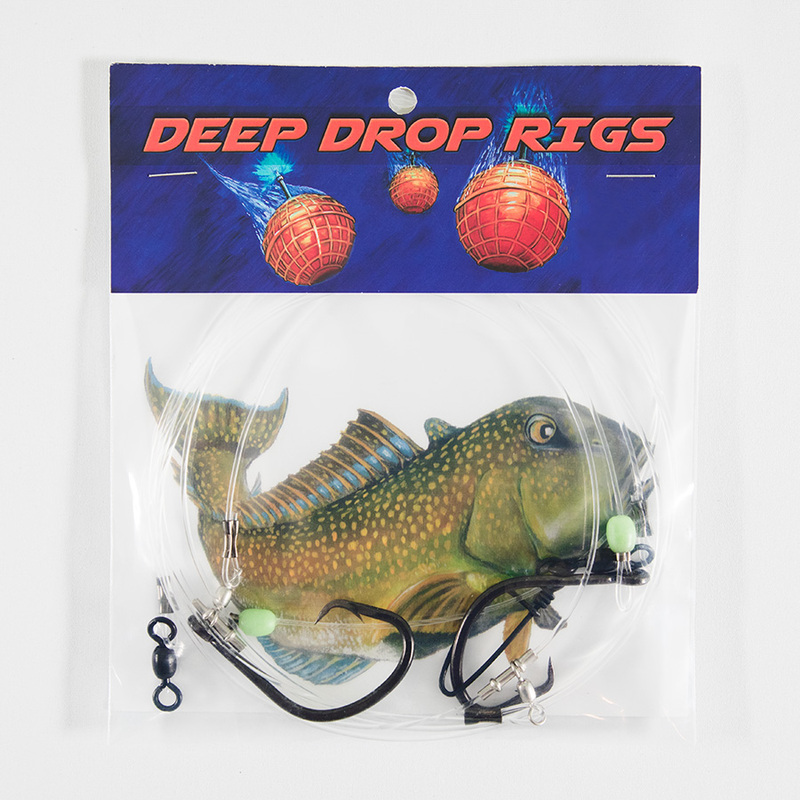 Each leader is rigged with a spliced dacron loop, designed to provide seamless and secure connection to a braided or monofilament main line. 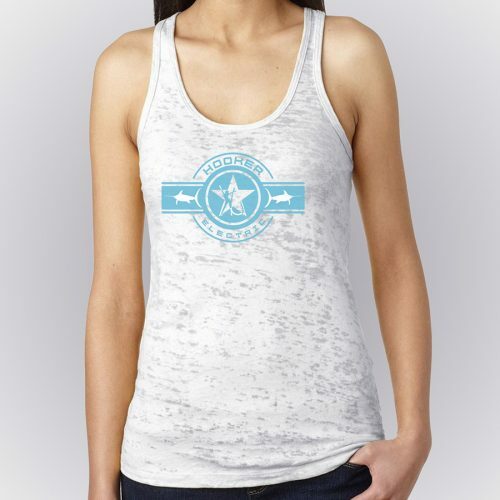 Monofilament is best used because it has a slight bit of stretch when the fish hits at 4.5 mph. 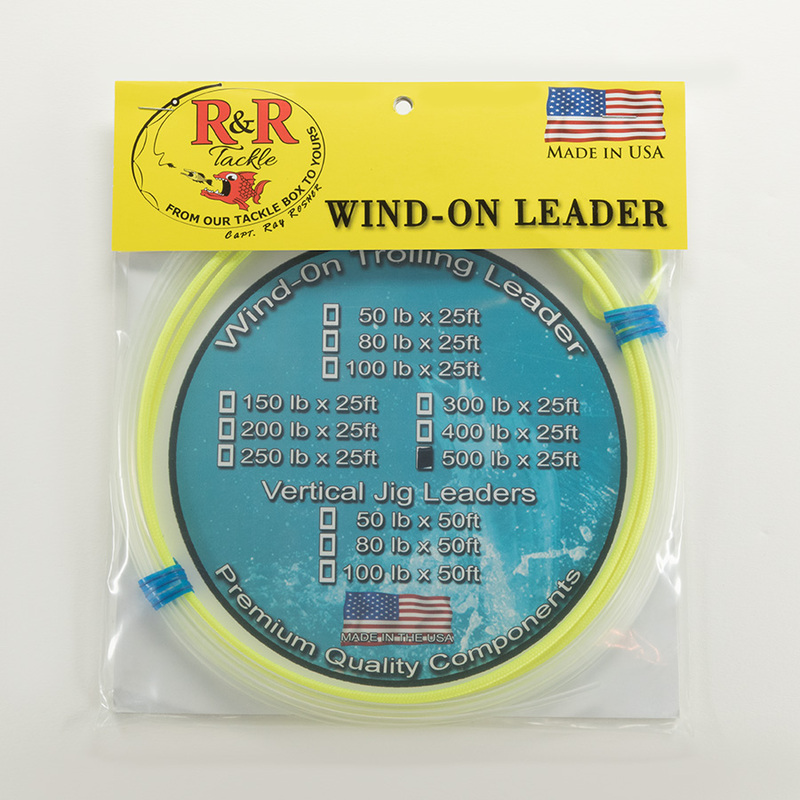 Braid has 0 stretch, and you have probably heard of hooks getting ripped out. This trolling leader is designed as the strongest wind-on leaders on the market. 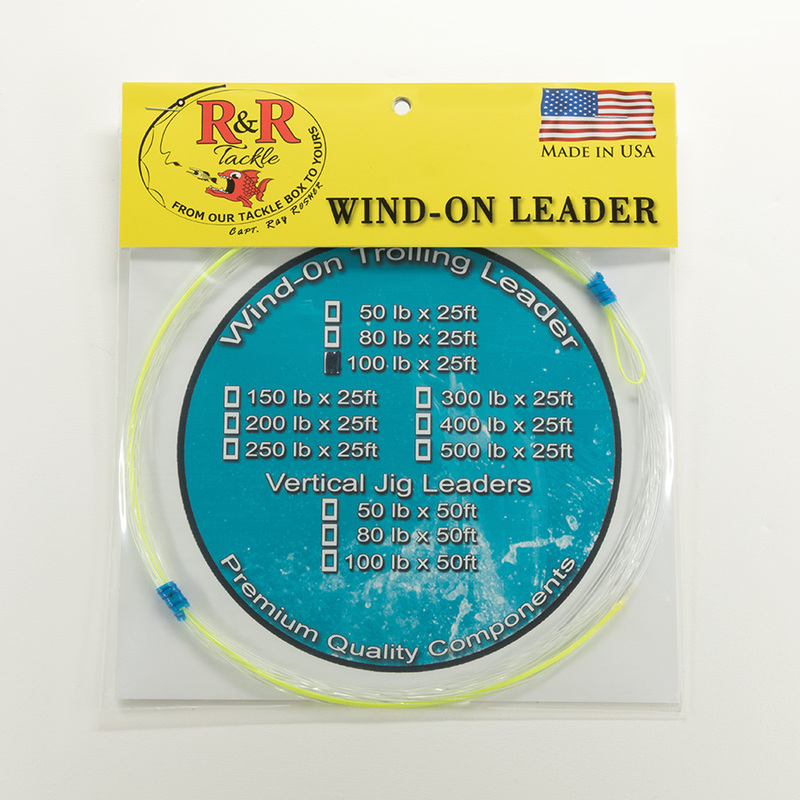 Three available pound tests: 50, 80, and 100 lbs.